An air hockey robot? A door that unlocks itself by recognizing you? These are some of the projects a Windows-for-gizmos could enable. 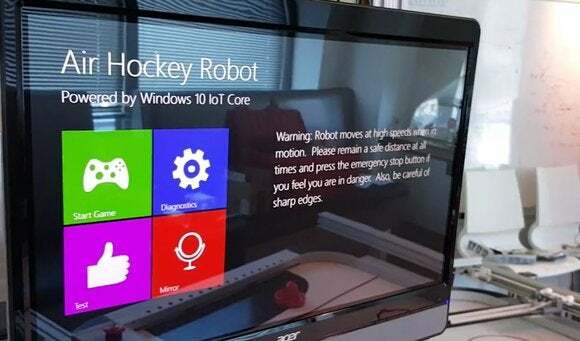 Continuing its push to make Windows 10 the operating system that can power all things, Microsoft publicly released Windows 10 for IoT Core on Monday morning, with support for the Raspberry Pi 2 and the Minnowboard Max. While Windows 10 is designed for phones, PCs, and tablets, Windows 10 for IoT Core addresses a different market: embedded products that may or may not have screens. For those that do, Microsoft has a mode that’s similar to the “kiosk mode” enabled in Windows 10 Professional, where a developer can write a specialized Windows 10 Universal app that serves as the “front door” to the embedded device. Users can download the release from the Windows IoT Dev Center, pick the board, and then get to work. The releases requires the July 29 release version of Windows 10 build 10240 (or, eventually, higher) and Visual Studio 2015. 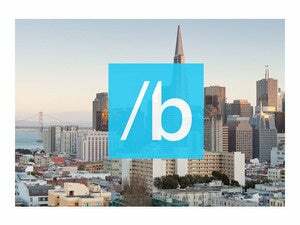 Microsoft said that the new release includes support for C++, C#, JS and VB, as well as full support tools, debugging and project systems) for Node.js and Python. Hardware developers can also use the open-source Arduino platform to talk to Windows devices, and Windows 10 can talk to Arduino, via a special project. Because so much of the maker community relies on sharing of code and information, Microsoft said it's contributed all of its IoT samples to Github, and put several projects on Hackster.io, including a “rover robot kit” that uses the Raspberry Pi 2, a way to use Windows phones to remotely control LEDs, and a community effort to remotely control a fan. Probably the most intriguing project, however, is one that Microsoft mentioned in its blog post, but it doesn’t seem to be anywhere else: unlocking a door with your face. Windows Hello isn’t perfect, but it works almost all of the time. One of the projects that Microsoft suggests could be coming in the future is the Face Recognition Unlocked Door, which would seem like a very interesting technology when your hands are full of grocery bags. Why this matters: Windows 10 for IoT Core appears to be Microsoft’s oblique answer to Apple’s HomeKit, in the sense that Windows could be used to control embedded devices in the home. Still, HomeKit has over a year’s head start on Windows IoT Core—and Windows 10 also seems like it’s starting off with the maker community, not finished products. Still, the smart home is still in its infancy, and Microsoft is getting in on the ground floor with the hobbyists and tinkerers, who, in their day jobs, many be helping to build it.